Modern Combat 5: Blackout, one of the most popular first-person shooters for mobile devices, available for Android, iOS, and Windows Phone will change its pricing to free with in-app purchases. 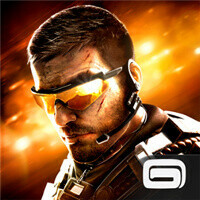 Modern Combat 5 originally launched with a steep price tag of $6.99, obviously too steep for many people, and by going free Gameloft hopes to lure more gamers in and then monetize via in-app purchases. “This update makes Modern Combat 5 available for free to millions of new players, and adds controller support, more weapons, a new class and more. All of our current players are getting Veteran status, with unlimited energy, and some other goodies as a thank you for their support. Ultimately, the switch to free-to-play means the game will have a longer lifetime, so we can invest more in the long-term update plan and in the servers which need to support a significantly larger player base. One thing we’re not messing with is the competitive balance players have come to expect in Modern Combat,” Gameloft explained in an official statement. It’s a nice touch to give those who paid the full price of the game some privileges, while for all else we just recommend you try the game right away. The price cut is already effective on iOS, and we expect it to come in effect on Android and Windows Phone in the coming hours/days. it still says buy for Rs. 250/- ($3.99) in India!! Yes it's not free on Android. It says $3.99 here in the US! Looks like PhoneArena.com made a boo boo! No. More like trolling its readers. Phone Arena will pay with blood. I Checked on Google play it was not free but don't worry switch to iPhone on iPhone it is free hehe. The game should have been free from the start. The game didnt deserve to be a paid app because of inn app purchases and the need for internet to play JUST THE CAMPAIGN. Gameloft certainly has lost its magic after the release of modern combat 3. This game has no in-app purchase. If you have played it you will know it. You obviously haven't played it because it does have in app purchases! If this is true, what a big slap in the face for the people that bought the game.Why buy mobile games then? It says it should take some more time for it to roll out on Android. Calm down guys. Windows Phone isn't mentioned in the title.... If it isn't free on Android yet, Android should be removed from the title as well. People, the article says it will be free in a couple of hours/days. How hard is it for you people to actually read the whole article? Yet you call yourselves techies.